“Rio Tinto has made a unilateral decision. It failed to consult the Bougainville Government about distributing its shares. At meetings with senior Rio officials, in July 2015 and February 2016, I warned strongly against transfer of Rio’s shares to PNG. It Bougainvilleans cannot accept National Government control over the future of Panguna through either majority or equal shareholding in BCL. In past meetings, I insisted that Rio accept responsibility for mining legacy issues. “When I met their officials last night in Port Moresby, they flatly rejected any responsibility for their contribution to the damage done by the Panguna Mine. “Rio’s officials gave me two reasons for not accepting responsibility for mine impacts. First, Rio operated under the PNG law of the day. Second, they were forced out of Panguna by the conflict. 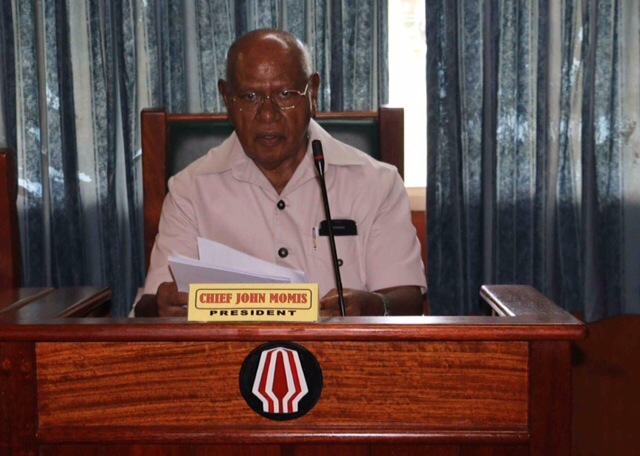 Bougainville President, John Momis, today expressed anger at Rio Tinto’s decision to transfer its 53.8 per cent share in Bougainville Copper Ltd (BCL). International mining giant, Rio earlier announced transfer if its BCL shares to an independent trustee, for distribution to the ABG (36.4 per cent), and the PNG Government (17.4 per cent). PNG is already 2nd largest BCL shareholder. So the share distribution would see the governments equal BCL shareholders – 36.4 per cent each. The remaining 27 per cent of shares are held by small shareholders. Rio Tinto has been reviewing its BCL shareholding for almost two years. The review resulted in Rio deciding to end its investment in BCL, which ran the giant copper and gold mine at Panguna from 1972 to 1989, under the 1967 Bougainville Copper Agreement (BCA). “We are open to PNG remaining a BCL shareholder. That may assist us find responsible partners and financiers for possible future operations at Panguna. But we cannot accept Rio Tinto’s interference in seeking to give PNG equal control over Panguna. There is no possibility of progress on resolving the future of Panguna on that basis. “Rio Tinto has shown arrogance and ignorance in ignoring my warning. Sitting in their comfortable London offices, they have interfered in Bougainville’s affairs by deciding PNG should have equal control of BCL. The President also expressed deep anger at Rio Tinto’s refusal to accept responsibility for the environmental and other damage done by the Panguna mine. He said ”In past meetings, I insisted that Rio accept responsibility for mining legacy issues. But the truth is Rio Tinto generated huge revenues from what we all now know was the terrible injustice of its Bougainville mining operations. The mine shut down in 1989 only because anger over that injustice generated demands for a renegotiated agreement. “It’s now clear the BCA was deeply unjust. It ignored environmental damage and social impacts. Only a tiny share of mine revenue was distributed to landowners and to the North Solomons Provincial Government. “The gross injustice of the BCA has since been recognised by Rio. As a result it made major changes to its own policies, especially in relation to landowners. It accepted new standards of sustainable development as a founder of the International Council on Mining and Metals (ICMM). “Rio is now deeply hypocritical in its blatant disregard of the higher corporate responsibility standards it says it has adopted. “It now seems Rio has no commitment to social responsibility or sustainable development principles. It talks those principles only when that helps its profits. But it throws them out when costs to its bottom line could be involved. “Now Rio Tinto proposes to walk away from responsibility for the effects of the injustice of its highly profitable operations. “Rio cannot rely on grossly unjust past laws to escape its contemporary responsibilities for what we now know was wrong. Corporate social responsibility means responsible companies accept that their responsibilities go beyond the legal requirements of the day. “I am writing to the Managing Director of Rio Tinto asking him to reconsider not only the Rio decision about its shares, but also its refusal to deal with its Panguna legacy responsibilities. “I am also writing to the International Council of Metals and Mining asking them to end Rio Tinto’s membership because of its failure to honour the ICMM’s 10 Principles for Sustainable Development Performance. “Rio Tinto Group has given away its stake in the company that owns a mine in Papua New Guinea with potential copper and gold reserves worth $51 billion. The London-based miner has transferred its 54 percent holding in Bougainville Copper Ltd., owner of the abandoned Panguna mine, to an independent trustee “for no consideration,” Rio said in a statement Thursday. The trustee will manage the distribution of shares to national and local governments. “Rio Tinto has today transferred its 53.8 per cent shareholding in Bougainville Copper Limited (BCL) to an independent trustee. Happy Bougainville Day. Happy 11th Anniversary 2016 on this Day, in the middle of the year, the middle of the month as we find ourselves in the middle of every conceivable challenge we are faced with. A friend asked me the other day why my posts on FB are more so about plants, animals, creatures of the sea and land, insects, crustaceans and vertebrates, volcanoes, landforms, beaches reefs, atolls, metoras, and so and so forth. My spur of the moment response was like: “Really!? No sooner had I said that than I realised that, it is true. 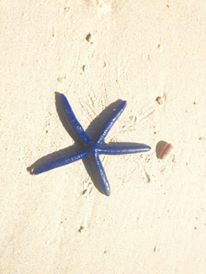 Even my timeline profile is not a photo image of me but of a paning-badora, my favourite star of the sea. But my short explanation was, and still is, and always will be, this. We share this planet with other living things. In our busy schedule with our own kind we often forget to concede, acknowledge and realise this. Can anyone imagine Bougainville – this planet – without bird life, plant life, sea and land creatures and the heavenly bodies above? If it were so, we’d be keeping a blank page, a planetary ledger that had zero balance in terms what else we value and care about in this world other than our own kind. I suppose the best response is to keep doing it, keep posting and batting for others. Anything worth doing is worth overdoing, as people that run charity organisations might tell you. Some of the most grandiose creatures that co-habit, don, and decorate our seas (and on land) come in simple life forms. At a casual glance the meaning of life, love and existence they convey to the beachcomber, a diver, snorkeler, a fisherman or a child building sand castles by the seashore can be simple but profoundly powerful. Like this five pointed star of the sea. I see it’s used by Nusa Resort in Kavieng in its ads and pictorials, advertorials. But it is a simple, blue enamelled, innocuous creature that does its share of adding spice and colour to our world and to the business of enticing tourists to our shores. It has no backbone but moves and crawls around as if it has five, each along its fingerlings. It’s maleable, pliable, can expand, lengthen, or shrink depending on the threat it senses. It is this little but grandiose star that is also among Bougainville’s live Stars today. Today is also exactly a year to the day when I assumed the Speaker’s role in the Bougainville House of Representatives. When the House is in session, looking about and around and across the Chamber I am encouraged and enlivened by the sea of faces that I see of those that chose, for a time, the noble profession that is politics, and with it the mandate to lead Bougainville. Outside the business of the House, there is also always time to think, even muse, about who else and what else is out there sharing this world with us. 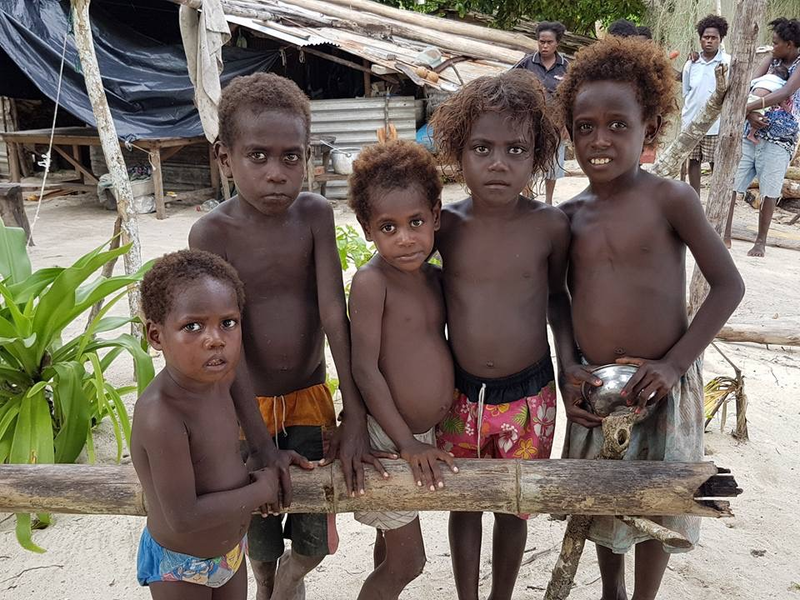 Bougainville will be poorer if it ignores the life value to the Island of its land and sea creatures, the trees, the plants and vines that flower and animals that abound with us and as part of our make up. This is what comprises our real capital to build and prosper on. God is Great. Life other than humans that exists in all shapes, sizes, forms and representations with whom we share and co-exist on the Island. On Bougainville Day let us celebrate at home and with PNG as we tread carefully together to deal with what lies ahead along the political path. “The ABG must make sure that our existing small-scale mining industry is protected. It is an industry where benefits spread to the people in villages and hamlets. Their interests cannot be thrown away in favour of new large-scale mining interests with exploration licences. 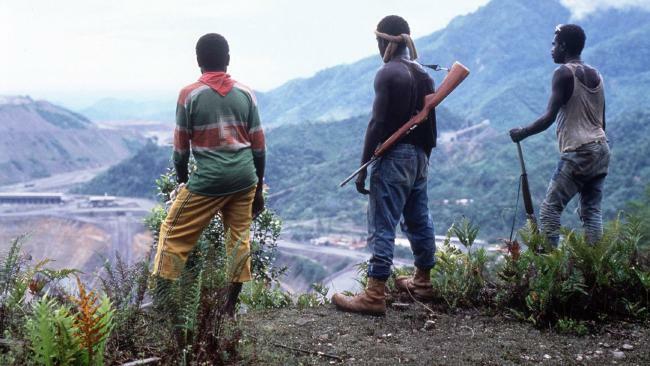 If we do not recognise small-scale miners, there will be dangers of unrest, and even conflict. The Bougainville Executive Council initiated this debate in April. All members were also asked to seek the views of their people. Members had a further debate on the issues on Tuesday. “The moratorium was imposed in April 1971, by the colonial Administration. It prevented mining exploration or development in all areas except those already under BCL leases. Bougainvillean leaders asked for the moratorium because of deep concerns that there might be many more mines in addition to the huge Panguna mine. “Although I proposed to the House that the moratorium should initially be lifted partially, most members of the House preferred to lift it completely. A major factor here is National Government failure to fund the ABG as the Peace Agreement requires. The ABG’s bad financial position means we must increase our internal revenue. Most members see mining sector development as the best way to lift the Bougainville economy, and also provide ABG revenue. My Government has listened to and will implement the motion of the House. ‘But last week’s motion by the House does not itself lift the moratorium. The debate in the House was for the purposes of public consultation only. Under the Mining Act, it is the Bougainville Executive Council that has power to lift the moratorium. It has not yet made that decision. Before it does so, the Act requires BEC to get advice from the Bougainville Mining Advisory Committee. It must also allow the House another opportunity for debate on the issues. “We will do this as soon as the Bougainville Mining Department fully implements the Bougainville Mining Act provisions on small scale-mining. This requires reserving areas for small scale mining. They will be called Community Mining Reserved Areas, Community Governments and Ward Assemblies will issue community mining licences. “Under the Mining Act, the Mining Department has till October 2016 to set up the new arrangements for licensing small-scale mining. The arrangements must be in place before the moratorium is lifted. Exploration licences are then likely to cover most areas where the ten thousand or more small-scale Bougainvillean miners now operate. Once an exploration licence is granted over an area, a community mining reservation is possible only if the exploration licence holder consents to it. Most exploration licence holders are unlikely to consent. “I have already given several directions to the Mining Department to implement the Community Mining Licence. As the Act requires those arrangements to operate by October, I can only assume that implementation work is far advanced. When the interests of small-scale miners are protected, we can lift the moratorium. I am today requesting my Minister for Mining, Hon. Robin Wilson, to obtain information from the Department about its progress in setting up the Community Mining Licence arrangements. 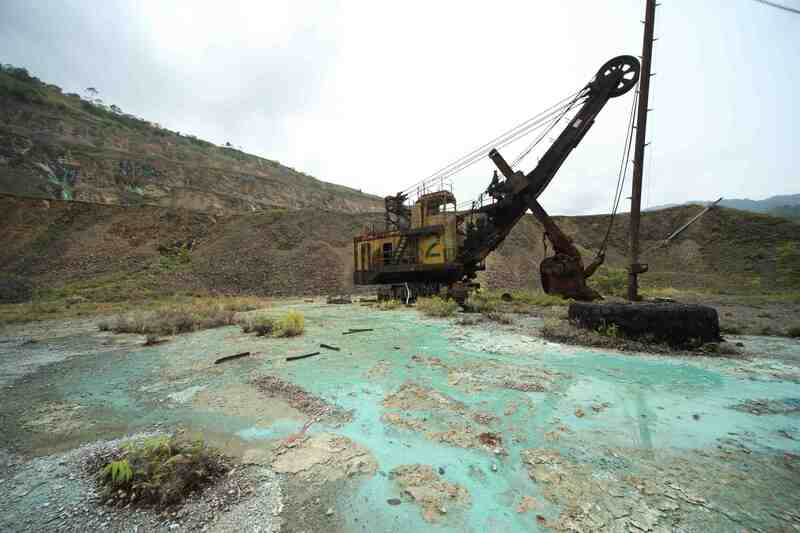 “An additional issue concerns the landowners impacted by the Panguna mine leases. The nine associations representing those landowners met me in Buka last week. They strongly requested a delay in lifting the moratorium until the after the holding of the Bel Kol ceremony with BCL. That ceremony has been requested by the landowners. They want to see this customary first step towards reconciliation about mining-related issues that caused conflict completed before there is any formal step towards resumption of large-scale mining in Bougainville. They are asking all Bougainvilleans and outside mining interests to respect their wishes in this regard. “I am also requesting the Minister to investigate and report to me, as a matter of urgency, on how to ensure that Bougainville is not threatened by many mines being established. It was fear of this led Bougainvilleans to request the moratorium in 1971. It remains a real danger. 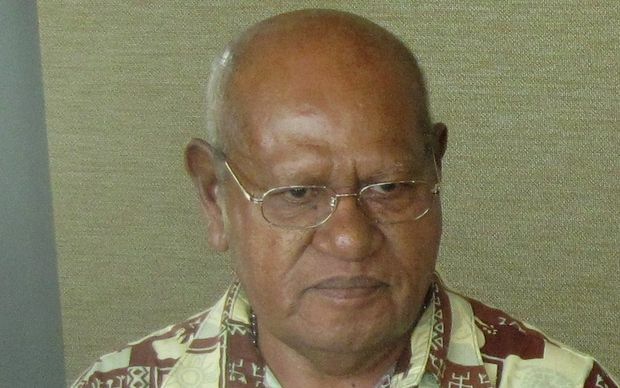 “The ABG Mining Act restricts the number of large-scale mining leases to no more than two at any one time – that is for mines like Panguna or Ok Tedi or Lihir. But there is no restriction on the number of small-scale mines (usually open-cut or tunnelling mines). “Once the Moratorium is lifted, if exploration licences are granted for all prospective areas, it will be difficult to limit the number of small mining leases. Lease holders and landowners will pressure for developments to go ahead, so they can get the money on offer from mining. “Once exploration licences are granted, we could face huge pressures to approve small mines, wherever exploitable minerals are discovered. We could perhaps have 10 or 20 such mines at the same time. The social and environmental impacts could be massive. Most of the available mineral resources could be extracted rapidly, in one generation, and all mining revenue too. “We should not be rushing to open Bougainville to unrestricted exploration and mining. Some Bougainvillean groups (and small foreign investors) are keen to see unrestricted exploration immediately, and so advocate complete lifting of the Moratorium in all parts of Bougainville. But many others remain suspicious or uncertain about, or opposed to, unrestricted exploration and mining development. As President of our Autonomous Region, I am pleased to participate in this major debate about one of the most important sets of issues facing Bougainville. I remind the House that the Bougainville Peace Agreement says one of the main objectives of autonomy is to “empower Bougainvilleans to solve their own problems, manage their own affairs and work to realize their aspirations”. The ABG’s Bougainville Mining Act 2015 involved the ABG taking over the powers needed for Bougainvilleans to solve our own problems and manage our own affairs in relation to all aspects of mining. In doing so, the Act aims to facilitate the realizing of our own aspirations. 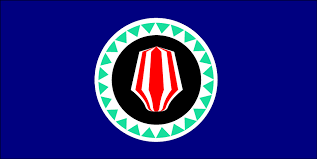 The Bougainville Mining Act was passed by the members of the second House. They were representing the Bougainvilleans that elected them. They deliberately included a section in the Act to continue the 1971 moratorium that prevented mining exploration and development in most of Bougainville. Mr. Sam Kauona is a critic of the moratorium, and of our debate about it. He claims that the section that continues the moratorium was secretly included in the Mining Act. His claim is completely untrue. In the debate about the Act, in 2014 and early 2015, several members were very concerned to make sure that the Moratorium continued. For example, in the seminar for members to discuss the draft Act held in this chamber in March last year, the member for Kongara asked for clear assurances that the moratorium was still included. I am proud that we, the members of the third House, are back here now, debating what the future of that moratorium should be. This House represents the people of Bougainville. The House is the right place for discussion of the big issues facing Bougainville. So the House is an institution of great importance. I want to see the House taking a much more public role in debating the issues that face us. In fact, Mr. Speaker, I want to propose that in every future session that this House agree on an issue of importance to Bougainville which it will debate in the following session. That will ensure that we all think carefully about what those big issues are, and what the ABG should be doing about those issues. As for the Moratorium, I need to remind this House that although the Mining Act continued the operation of the Moratorium, it also continued the operation of some aspects of mining rights and activities. They were exceptions to the Moratorium, things that were already recognised by the previous law. They included small-scale mining, and just a small part of the mining rights held by Bougainville Copper Ltd before the Bougainville Mining (Transitional Arrangements) Act 2014. 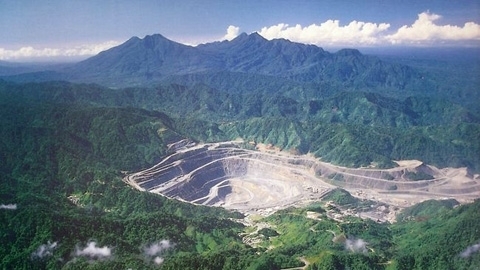 Before that, BCL had the rights under PNG law over the SML, many leases for mining purposes, and exploration licences over extensive areas north and east of Panguna. But under our Mining Laws, BCL has nothing more than an exploration licence over the area of the previous SML. Mr. Kauona has been saying that the ABG included the Moratorium in the Act to make sure that only BCL will have rights to minerals in Bougainville. As is usually the case when he talks about ABG mining policy, Mr. Kauona is completely wrong. BCL now has very limited rights in Bougainville. It will not move from having just an exploration licence to being able to re-open Panguna unless Panguna landowners and the ABG are both in agreement with the conditions under which it will resume. We must remember that the Moratorium was imposed in 1971 at the request of Bougainville leaders aiming to protect Bougainville from unlimited large mines. They were concerned that unlimited exploration licences could have seen many mines established all over Bougainville. Those same concerns remain valid today. Many people still share those concerns. That is why this debate is so important. Our 2015 Mining Act gives the BEC power to lift the Moratorium, wholly or partially. 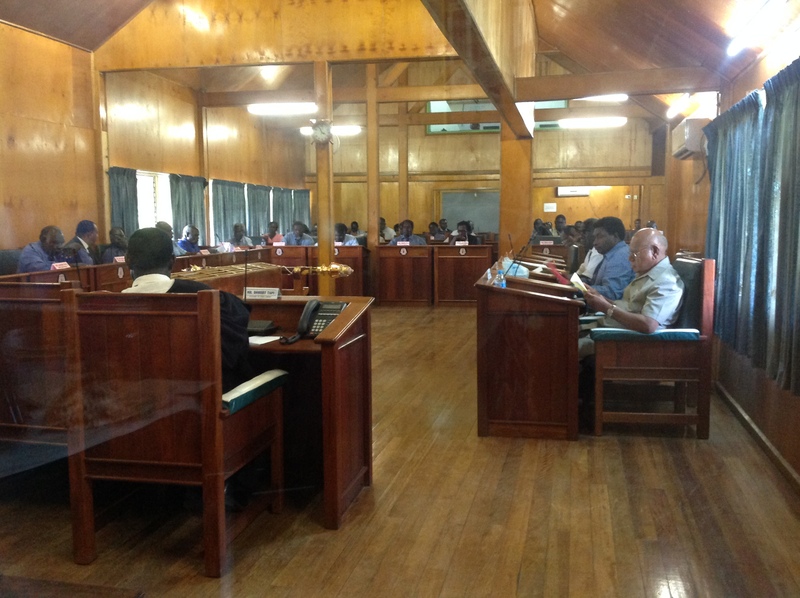 Before it makes a decision, BEC must receive advice from the Bougainville Mining Advisory Council, and allow a debate in the ABG parliament on its proposed decision. The debate that we are having today is NOT part of that official, or formal, process for making a decision on the future of the Moratorium. That formal process has not even begun yet. Instead, our debate today is part of the BEC’s efforts to ensure that there is wide public debate on the issues involved here. Mr. Kauona claims that I am making the decisions about the Moratorium. That is complete nonsense. The BEC has that power. And BEC has not even decided its position on the issue. So far the only thing BEC has done is decide that there should be open public debate on whether the Moratorium should be maintained, or lifted. Because we have no funds to conduct a public awareness and consultation, we have instead asked this House to debate the issues involved. Then BEC can take full account of the views expressed here, and by the public, when it does make a decision. Before considering whether to lift the Moratorium, wholly or partially, it is important to remind ourselves what lifting the Moratorium would involve. I ask all members to be mindful of two important points. leases for mining purposes (roads etc.) and mining easements. In debate in this House on 5th April, I recommended lifting the Moratorium partially. Amongst other things, that would give the Bougainville Mining Department time to build its capacity to manage the new system for exploration licence applications. More important, the Department has not yet developed administrative arrangements needed for handling international tender of exploration licences, and for the whole significant new system of Community Mining Licences for small-scale miners. If the Moratorium is lifted in full, then exploration licences for large-scale mining would be available for the whole of Bougainville. Once exploration licences are granted for the prospective areas of Bougainville, the Mining Department will not be able to implement those very aspects of the Mining Act, in the areas where exploration licences are operating. I continue to recommend partial lifting of the Moratorium. But, I have also refined my thinking. It can be partial lifting in two main ways. First, the moratorium could be lifted in full for some categories of licences for the whole of Bougainville. In particular, I see no reason why reconnaissance licences and artisanal licences should not be lifted. The same could be true for quarry leases. By lifting the Moratorium in this way, most Bougainvilleans interested in doing something more extensive than current small-scale mining will be able to do so. But second, the Moratorium could be initially lifted partially for exploration licences (for possible open-cut or underground mines) and for mining leases. This would initially be lifting the Moratorium only for perhaps two or three special areas. Opening just limited areas to applications for exploration licences or mining leases would give the Mining Department time to test its tenement administration arrangements in those areas. But main reason for this proposals for initial limited lifting of the Moratorium would be to allow the Department to establish the international tender and community mining licence arrangements. In particular, the Mining Department clearly needs time and resources to concentrate on the very important matter of establishing the community mining licence arrangements. Let’s be clear here – I am not recommending that international tender be the only way exploration licences are granted for the whole of Bougainville. No. The idea with the international tender arrangements is for the Department to identify particular highly prospective areas of Bougainville, and to have geological survey carried out over those areas. Then if it is judged as worthwhile to do so, those areas can be advertised, and the geological survey material made available, as part of a process of inviting tenders for licences. This might generate significant revenue in exploration fees. But it is intended to be restricted to just a few areas where it is judged worthwhile to incur the expense and make the considerable effort likely to be involved. But if we do not set up the arrangements first, then it is likely that much of Bougainville will be covered by exploration licences, which would make it almost impossible to identify areas suitable for dealing with through international tender. More important, we would then only be able to grant our new small-scale mining licences – the Community Mining Licences – only with the consent of exploration licence holders. That consent will probably be very difficult to obtain. The partial lifting, in relation to exploration licences and mining leases, should only be for a short time – only for the year or two needed until arrangements for grant of community mining licences and international tender of exploration licences are in place. But at the same time, I would recommend strongly that we make small but important amendments to the Bougainville Mining Act. The first amendment would be to limit the number of small scale mining leases. At present the Act restricts the number of large-scale leases tow no more than two at any one time – that is for mines like Panguna or Ok Tedi or Lihir. But there is no restriction on the number of small-scale mines (which, we must all remember, will usually be open-cut or tunnelling mines). Once the Moratorium ifs lifted generally, if exploration licences are granted for all the prospective areas of Bougainville, it could become very difficult to limit the number of small-scale mines. The reason is that there will be pressures from licence holders, and some landowners, for developments to go ahead, so they can get the money on offer from mining. Without restrictions on small-scale mining leases, we could face huge pressures to approve numerous mines, wherever minerals are discovered in exploitable quantities. We could perhaps have 10 or 20 such mines operating at the same time. The social and environmental impacts could be massive. Further, most of the available mineral resources could be extracted very rapidly, in the space of a generation. My second suggested amendment would be simply a clarification that when considering lifting the Moratorium partially, the BEC may do that either by reference to category or tenement (e.g. full lifting of reconnaissance and artisanal licence and partial lifting of other tenements) or by reference to area for particular categories (e.g. in relation to exploration licences, mining leases and leases for mining purposes). We should not be rushing to open Bougainville to unrestricted exploration and mining. Some Bougainvillean groups (and small foreign investors) are keen to see unrestricted exploration immediately, and so advocate complete lifting of the Moratorium in all parts of Bougainville. But many others remain suspicious or uncertain about, or opposed to, unrestricted exploration and mining development. That, to my mind, is another good reason for proceeding gradually, by partial lifting. Then, when the very necessary, and highly important arrangements are in place for the grant of community mining licences and for inviting international tendering for exploration licences in selected highly prospective areas, we can review the situation again. We can then consider further lifting of the Moratorium. to restrict the number of small-scale mining leases that can be in operation at any one time. This suggested approach to lifting the Moratorium and making minor amendments to the Act would allow most Bougainville mining interests access to minerals through artisanal licences. It would see continued protection against establishing many open cut and underground mines. That was the original aim of the Moratorium. It continues to be an important aim. Lifting of the mining moratorium on Bougainville has hoodwinked the majority of people on Bougainville. In March 2016, the Autonomous Bougainville Government (ABG), knew that the decision on the future of the mining moratorium on Bougainville was a major concern and “that there should be wide public debate on the issues involved”. This was reiterated again as stated by Patrick Nisira, Vice President of the ABG in his public leture on 28 April 2016 in Canberra. Yet in his next breath, Patrick Nisira advises, “but we don’t have the funds necessary for an extensive public awareness and consultation program”. Instead, the decision to lift the mining moratorium was done without the majority of people on Bougainville even knowing, therefore, appears they were deliberately left out of the decision. They have been intentionally ignored on purpose to allow BCL (Bougainville Copper Ltd) and Rio Tinto to return to Bougainville. So, if BCL returns to operate the Panguna mine, like it did in the past, will BCL and Rio Tinto be providing payment and compensation for the deaths and destruction it caused under the unfair Bougainville Copper Agreement? The National,Thursday June 9th, 2016. ONLY time will tell when the Panguna Mine will be reopened after the Autonomous Bougainville Government House of Representatives lifted the mining moratorium in Parliament session on Tuesday. Member for Hagogohe Constituency, Robert Hamal Sawa told The National that the decision was done in consultation with the people who agreed that the moratorium be lifted. Sawa said the next task was for the Bougainville Executive Council, Bougainville Copper Limited, Government and the Panguna landowners to negotiate on how well the mine would operate in accordance with the new Bougainville Mining Act. He said as the lifting was constitutionally amended, one condition of the lifting was for the Panguna Mine to be reopened. “We decided that for the moratorium to be lifted and for Panguna Mine to operate again, only BCL will be allowed back because they know the operation back then,” he said. Sawa said they did not want to engage another company apart from BCL which did not understand the situation in Panguna. For areas that have minerals, it was up to the resource owners to organise and decide which mining activity either in alluvial or exploration should take place. “Are we preparing our people for the advent of mining or are they just going “get in the way” again as usual? Friends, citizens, fellow country men and women. I am here to express my utter dissatisfaction and discontentment with the way ABG and a select group of people are leading us blindly into the teeth of a storm. Some months ago a Mining Law was passed in the ABG House of Representatives. Few days ago there was a blanket lifting of the moratorium. With it we have surrendered our last bastion against the onslaught of corporate might that has taken over democracies through out the world. How strong, how capable and how well resourced is ABG to contain such might? Many of us think this is some airy-fairy theory. Many of our leaders and people in the village do not understand that the world out their had changed so much while we in the “dark ages” of the crisis. Today, big businesses control much of what use to be known as the “free-world”. There is a new form of government masquerading as democracy where government conspires with powerful corporation to liberalize the economy and the public sector for a takeover by these corporations. Thanks to the Internet where we can always go to sites that give us the other side of the coin so that we are not misled to believe all the lies dish on television, newspapers and other media for the benefit of the government and its cronies. I am further sadden that the quest for wealth has taken over the initial cause that we went to war for. They are telling us that the crisis was a bad call and it shouldn’t have happened. So what happened to the heroic stance that people of Bougainville took against all odds to defend themselves, their land and environment for the future generations against an unscrupulous mining giant that was tearing up the mountains and valleys leaving communities landless and penniless. We were hailed around the world as the first ever indigenous victors against a world class mining company. Australian Government sat on the fence hoping that these pathetic poorly armed kanakas would be put in their place. It shamelessly supplied arms and helicopters to claiming that it was part of some defense cooperation program. It was a disappointment and maybe embarrashment for them in the end. All these efforts were for nothing but reopening of the mine at Panguna. ABG denies (or tries to) that Mining Law and Moratorium lifting are aimed reopening Panguna when we have BCL management singing a different song. ABG claims that the people through out all of Bougainville have agreed to the blanket lifting of the moratorium. I have no problems with that. Do they know what they are agreeing to? The Sioux, Apache, and Cherokee indigenous people defeated rather annihilated US 7th Calvary at the battle of Little Big Horn. Today, this once proud, brave and noble people live in Reservations around USA. A people reduced to rubble by a government that they looked up to and trusted after they signed a treaty not knowing what they were doing. One of the key requirements for referendum is total disarmament. During May 17 celebrations I was not in Bougainville but I am told that people are heavily armed. Assault rifles, grenade launchers and machine guns enough to dissolve the PNG parliament were openly displayed on that day. So why are this people totting such toys when they should be happy that BCL or whoever is going to come and mine minerals is going fill up their houses with wealth while they seep Champagne on ice by the roadside? Are these the people who have agreed to lifting of blanket moratorium as we are told? Seriously are they expecting trouble? What do you think? Over a period of time I have come to realize that life is more exciting when people say one thing and do another. Great novelist sell their work because protagonists are liars. Yes we were led to believe we were fighting to close the mine and for something call independence which allowed us to mind our own business. Yes we all sacrificed our nice jobs, our salaries, our medical benefits, school fee subsidies and because we looked out the window and saw that we had left our people behind when we got on the bus. The very people who preached bleached white freedom now have come down with severe case of amnesia. They can’t remember all that “I am for you” messages they the imparted to us. Just how much money does the Autonomous Region need to operate without politicians dipping their dirty fingers into the national coffers? Have we set up industries that will act as a buffer in our economy when price of copper and gold drop below our belt? Are we preparing our people for the advent of mining or are they just going “get in the way” again as usual? A large number of educated elites support leanings towards mining without broader understanding of it’s impact on people other than themselves who stand to gain through employment or otherwise. We cannot pretend that we are westerners. We come from a world where groups interests are more important than individual. We belong to a extended family, clan and an area or ethnic group. This are the things we must consider before we make decisions that may clash with our way of life. Seek to find deeper truth, let’s be honest with ourselves, if we are to gain respect from those who seek to do business with us. Maski crawl olsem kuka painim moni na glory. The Pacific Possible: Tourism report, which was released for public comment today at the annual board meeting of the South Pacific Tourism Organisation, outlines a plan for long-term, balanced and manageable tourism growth to the year 2040.
and improving linkages between tourism and local economies. 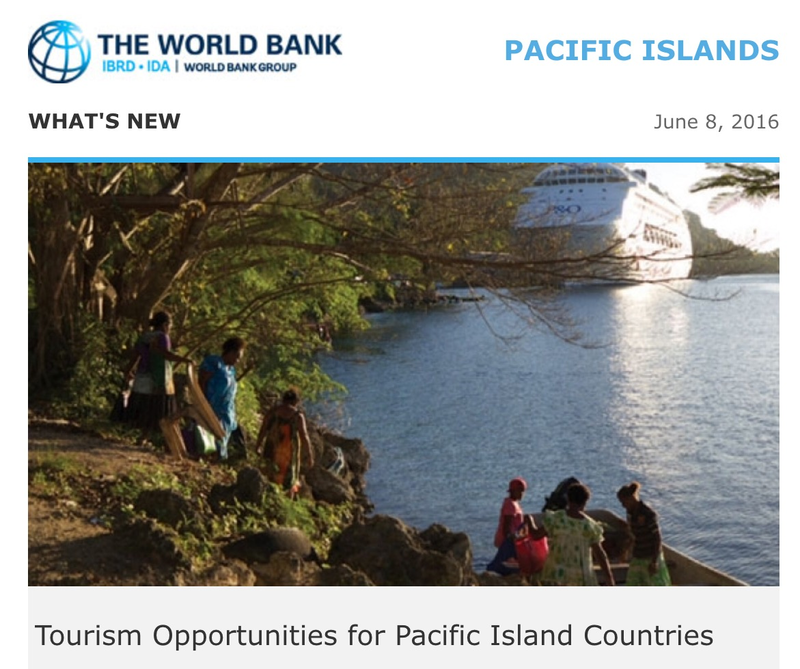 “Tourism is one of the Pacific region’s most economically viable sectors, with significant opportunities for sustainable growth in the Chinese tourist, cruise ship, luxury travel and retiree markets,” said John Perrottet, report author and Senior Technical Specialist at the World Bank. Tourism plays an important role in Pacific Island economies and is one of the region’s few economically viable sectors. Total tourism spending in Pacific Island countries for 2013 amounted to US$1.4 billion. In 2014, a record 1.37 million overnight visitors arrived across eleven Pacific Island countries, with Fiji, Papua New Guinea, Palau, Samoa and Vanuatu making up the top five destinations. Two thirds of visitors traveling to Pacific Island countries are from Australia and New Zealand, while the United States, China, Japan and Europe represent significant growth potential. To read the Pacific Possible: Tourism paper in full, please visit www.worldbank.org/pacificpossible. Comments or feedback will be accepted via email to PacificPossible@worldbank. “The relationship between President Momis, his government, and the Board and management of Bougainville Copper remains cordial. In early April management joined a business delegation to Buka where there was an opportunity to meet with the President and a number of ministers as well as business leaders. Support for BCL was strong among the group we met. The chairman and managing director of Bougainville Copper Ltd, Peter Taylor, says the company remains committed to its vision of sustainable mining there. He told the annual meeting in Port Moresby on Wednesday that they are happy at the growing strength of the company’s relationships in the autonomous Papua New Guinea region. BCL’s closed Panguna mine was at the centre of the violence that tore Bougainville apart in the 1990s. The Bougainville Government is keen for a resumption of mining and Mr Taylor says the company has had positive engagement with many local interest groups, including landowners, in the Panguna area. On 1 June 2016 Bougainville Copper Limited held its Annual General Meeting at the Grand Papua Hotel in Port Moresby, Papua New Guinea. The AGM provided an opportunity the Chairman Mr Peter Taylor to make a statement concerning the up to date affairs of the company and the following is a transcript of that speech in its entirety. A PDF of the address with slides from the presentation can be downloaded here. The results for the year ended December 31, 2015 as reported in the Annual Report, recorded a loss after tax of K 37.9 million. A tax expense of K31.4 million was expensed as a result of resolution of a previously reported tax case. The loss of K37.9 million compares with an overall loss of K175.7 million in 2014 which included an asset impairment charge of K166.6 million. Revenue from interest and dividends from investments was K4.8 million compared to a budget of K5.0 million. Operating expenses were K11.3 million compared to a budget of K13.6 million reflecting scaling back of work programs driven by tenure uncertainty. At the end of 2015 the company’s liquid assets were K29.5 million in cash and $A 50.0 million (K108.9 million) in Australian listed equities. The company’s investments are linked to the performance of the Australian equities market. Bougainville Copper has governance reporting obligations to the Australian Securities Exchange (ASX). A statement on the company’s compliance with the ASX Corporate Governance Principles and Recommendations is contained within the annual report. In addition, the company complies with Rio Tinto’s comprehensive range of policies including safety, environment, financial management and other governance practices. The management of Bougainville Copper undertakes regular risk reviews. The aim of these workshops is to identify risks and opportunities facing the company, and to allocate responsibility for each to a member of the management team. The company has ensured compliance with its own policies. 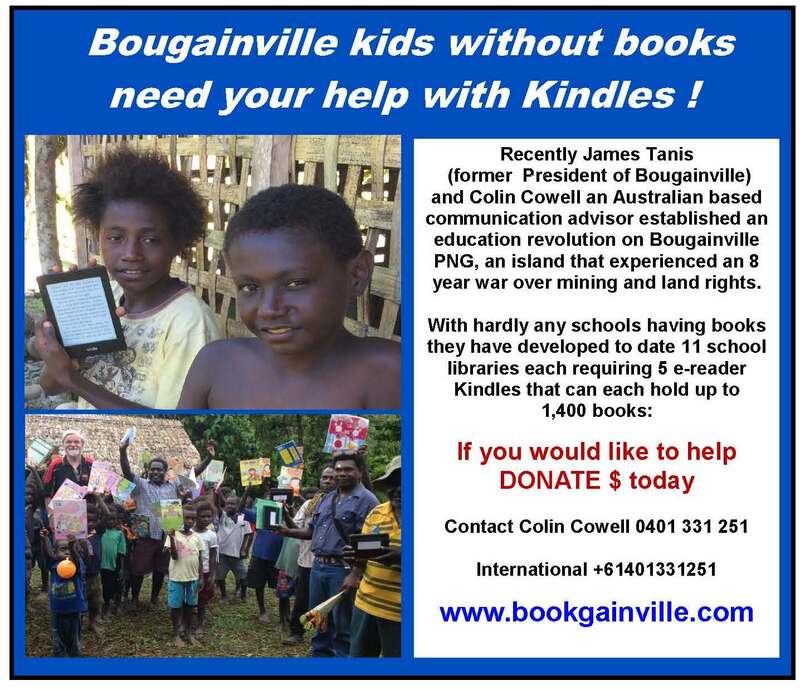 Bougainville Copper has continued to support the work of the Bougainville Copper Foundation. This is an independent, “not for profit” company that has been funded by Bougainville Copper since its inception. In 2015, as in previous years, the Foundation had more than 100 Bougainville students on scholarships. Many are continuing to be supported in 2016. The Foundation also undertakes “special projects” on a needs basis with the emphasis placed on education, peace and good governance. On 18 August 2014, following the announcement of the proposed new Bougainville Mining Act, Rio Tinto announced a strategic review of its shareholding in BCL. The Rio Tinto review remains ongoing and the Board continues to engage with Rio Tinto regarding the status of the review. The company’s priority is to secure its tenement position and a sustainable social license sufficient to underpin any potential decision to proceed with mine study and development. The Board continues to proactively assess its strategic options. The company continues to maintain in good standing all tenements under the Bougainville Copper Agreement. In August 2014 The Bougainville Government passed what was titled an interim mining act that among other things purported to cancel all of BCL’s mining tenements held under the BCA (SML1, 7 ELs and associated leases for mining purposes – about 67,000 hectares) and replaced the special mining lease (SML1 – 3770 hectares) with an exploration licence (EL1). To preserve optionality, BCL has prepared applications for additional tenements it will need for the potential redevelopment of the mine. The relationship between President Momis, his government, and the Board and management of Bougainville Copper remains cordial. In early April management joined a business delegation to Buka where there was an opportunity to meet with the President and a number of ministers as well as business leaders. Support for BCL was strong among the group we met. That is not to say there isn’t some opposition and challenges. A letter addressed to me from a group of ex-combatants and one to President Momis in reaction to the ABG debating the lifting of the moratorium on exploration and mining outside the BCL area suggests there are some vested interest groups who oppose the return of BCL as well as opposition to some mining related Government policy. The company has had positive engagement with many of the local interest groups from the project area, including landowners. Bel Kol is part of this process. Preparations for Bel Kol are continuing. The relationship with landowners is mainly positive and agreement has been reached to settle long-standing claims relating to the year following the suspension of mining operations. While there are some landowners opposed to reopening the mine for a range of reasons there appears to be a clear majority in favour of redevelopment. There is a wide range of interests, and we are trying to listen to them all. Since mining was suspended the company has not had access to the former mine and tailings area. I have received reports that in addition to artisanal mining there is now industrial scale reprocessing of former mine tailings. Although there is continuing growth in commercial activity throughout Bougainville, the Autonomous Region is still very dependent on funding from the National Government and aid donors. The date for the referendum has been set for June 2019. The National Government has committed support to fund the referendum preparations. It is important that the long term regime for Bougainville is determined so the company can factor this into its studies for potential redevelopment. Reports and commentary on company activities are regularly reported to the Australian Securities Exchange and associated media, and can also be accessed on our website. In conclusion, the vision to return to active exploration and profitable, sustainable mining remains. The company is well positioned to recognise the opportunities inherent in recent challenges, and to maintain progress in a new year. I believe a majority of the Bougainville people, who will soon participate in a referendum on Independence, clearly see the importance of economic self-sufficiency that could potentially be provided by mineral resource exploration and development.